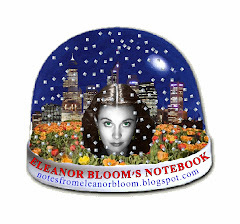 notes from eleanor bloom: Full of peace. Just full of it!!! Full of peace. Just full of it!!! You know how doves and olive branches are supposed to be symbols of peace? Well right now the branches of my olive trees are brimming with doves; I've been taken over! Peaceful symbolism as far as the eye can see! But, they're not so peaceful. They're sitting on these olive branches and pecking the crap out of them: hack! hack! hack! They're grabbing at it with their beaks and yanking away, tearing bits off the poor ol' olive branch. It's all destruction and mayhem out there! I think I may have found the reason why the world ain't so peaceful. We got the symbols wrong! I'm about to email the UN now to alert them.